From humble beginnings to the scale of a pan-India presence, Anemos, today, is not just a lifestyle retail space but a mood to surrender oneself to. It is everything you call 'home'. Directors Nipoon Agrawal and Rajkumar Jain tirelessly explore and curate the products they feature. From period furniture to quirky lamps, from cascading chandeliers to rare artifacts, from wall clocks that will make your heart tick to accent pieces that complement, every nook tells a tale of, both, the days of yore and the trends of today. Anemos is a production that has come together with time. It's almost as if every piece waltzed in , made room for itself and then draped up a personality of its own. Spread lavishly over two levels, the ground comprises Anemos fans which, truly, are mechanical marvels that have garnered places of pride in the country's most celebrated homes, the unparalleled charm of Anemos is the mystical first level. It's is the closest you may get to being a guest in Alibaba's cave. Anemos is true labor of love for craft, culture, design, decor and aesthetic. We invite you to be our guest and celebrate our haven, our home, our Anemos. 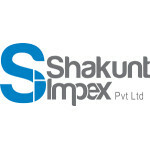 SHAKUNT offers a wide range of products to furnish & décor your home, business place, retail store, import house, café,….. You name it! 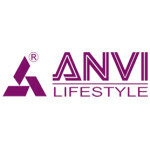 We are Manufacturers, Seller & Exporter of Handcrafted Antique Carved Furniture, Artistic Wooden Furniture, Aviator Series Furniture, Bone Inlay Furniture, Garden Furniture, Lamps, Leather Sofas, Leather Arm Chair, Mother of Pearl Furniture, Reclaimed Wooden Furniture, Vintage Industrial Furniture, and other Handicraft Decor Products. Over the last 18 years, our small ‘idea’ has grown into a state-of-the-art furniture design and manufacturing unit, spread over a few thousand square feet. 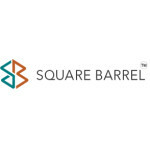 We are a team of 63 full time employees and several partners and vendors. We use the best of equipment and latest technology and at present, are one of the few furniture design houses in India with a captive 5 axis router. 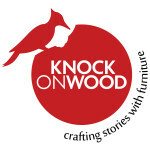 Knock On Wood is a subsidiary of India’s largest mobility solution creators- JCBL Group. Our manufacturing facility is located on the 40-acre JCBL premises, and draws on the technical expertise, advanced technology and R&D excellence to engineer truly unique designs. Each and every piece – right from the lighting to the curios to the furnishings – has been carefully hand-picked, and passed through the fine sieve that is my design sensibility and aesthetic. I have had the great opportunity to travel around the world, and it has only expanded my understanding of diversity in concepts – so, whether it is moods, seasons,colours, or conversations, my exposure over time has helped develop my lens through which I assess objects, rooms, and spaces. Sibarita Design Studio creates concepts and spaces of unsurpassed beauty, with “The Pleasure Principle” being the underlying note. Sibarita offers abroad and also now in India 360°design services in architecture, interior design, space planning, furniture making, brand identity, landscape design and masterplanning. Specialized in luxury hotels, restaurants and residential . Sibarita celebrates the life of a hedonist, a libertine who seeks luxury and pleasure from one’s surroundings. Voluptuous sensual textures, luxurious colours, earthy rich materials and gratifying experiences. Sibarita’s inspiration derives from the lives of the pleasure-seeking Sybarites, ancient Greek inhabitants of Sybaris, whose lives were devoted to the pursuit of self-indulgence and luxury. When fine wines and elaborate meals vied with exquisite surroundings to create a life of spectacular extravaganza. And that is The Pleasure Principle on which Sibarita is founded. Celebrating life lived to the fullest – without compromising on the pleasures that life has to offer. The desire to live life on the edge, seeking sensual pleasure is powerfully and fundamentally human. Hedonism is in our blood. Early Greek philosophers believed that pleasure was life’s ultimate goal and this is the principle behind Sibarita’s philosophy. Sibarita transports you to a world of pleasure and luxury. Conceptualised and created by Patricia Emma Fernandez Ortiz, Sibarita was born out of her love for pleasure and luxury, and the desire to create living spaces that embody these elements. 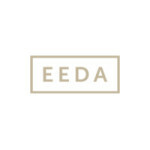 Eeda is where high quality meets great style, combined with your desire to have the perfect fit for your room. We at Eeda believe that no one should compromise on style or time, so we bring to you a range of products made out of quality teak wood. Eeda was conceptualised when Farhan and Farya were trying to design their parents home. Store-brand furniture did not give them the elegance they desired and designer furniture did not provide customisation. So Farhan took to the drawing board and started creating his own designs. What started out as amateur carpentry using old wood soon turned into passion for perfection and the end result was elegance. Eeda’s latest range has the touch of class. Old world rustic meets modern day metal and gives birth to distinctive handmade pieces stemmed in both unfinished wood and metal. Every design at Eeda is made with care and we hope that we can share some of our passion with you. At Migaloo Home we believe that through the elegance, design and quality of our products we are able to create the harmony of shapes and original style. Our philosophy is to combine aesthetics with functionality, as well as traditionalism with modern forms. In many of our projects we offer custom choice color to buyers to ensure their vision will become reality, to give the opportunity to be an architect of the look. From the beginning we manufacture our products locally in Europe what gives us the opportunity to keep great quality control standards. By choosing our products, everyone can bring a bit of our souls, happiness and our lifestyle in their homes or any other chosen environment, anyone can experience the Migaloo Home Design. 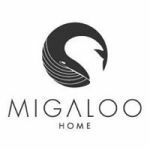 Migaloo Home team is formed by ambitious and creative people, but also sensitive to the environment in which they live and work. We are aware of the potential of our team – we want to use it by voluntarily supporting the noble ideas. Therefore, every year Migaloo Home allocates 2% of the profit from each lamp dedicated to children for the Gdansk Korczak Foundation “Love and give an example”. Once a year we earmark raised founds to purchase specialized equipment stimulating the rehabilitation and development of children. Möbel Grace Contract Division is the leader in the efficient and quality adaptation of complex designs with time bound delivery. Möbel Grace is proud of its 25-year history as a renowned contract production partner, esteemed for advanced technology, innovative materials and expert craftsmanship in creating the finest interior furniture and fixtures. Rooted in strong traditions and business values, Möbel Grace continues to grow and innovate with an eye on future trends and technology. 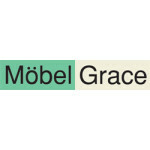 The most distinguishing feature of Möbel Grace’s services is its efficient use of technology from start-to-finish. Beginning with the understanding of the design concepts, Möbel Grace perfects the technical drawings, design engineering, manufacturing, using any designated materials, and finally the installation and finishing. 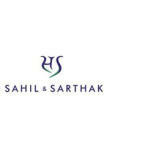 Sarthak Sahil Design Co was founded in 2009 by two young designers Sahil Bagga & Sarthak Sengupta, with the strong belief that Ethic, Ethnic and Ecology can be interwoven with our contemporary lifestyle. Ever since, the studio has designed productsand interiors that are beautiful, functional and ASAP “As Sustainable As Possible”. Our expertise lies in customizing products, furniture, Lighting and installations by the Innovative use of Indian craftsmanship and materials to furnish contemporary spaces such as boutique hotels, high end homes and landmark restaurants. The studio also provides wholistic design solutions such as creative management, knowledge of the overall production chain of the system, graphic & communication, and most importantly synchronizing all these different elements towards building an overall customer experience and creating meta systems for their clients that can yield future business opportunities and brand building frameworks. We at Amazng crave eureka moments, ‘Aha!’ moments that dissolve into a sublime sense of achievement. Our creative intent leans towards making design appear simple. Amazng is a result of years of shaping such moments and refining our craft. With Amazng, we are targeting a niche and discerning audience who, like us, are not easily satisfied with just the ordinary. Founding Directors, Gary and Shanoo have together travelled a long and exciting journey together, shaping and participating in the Indian design narrative for more than 20 years. They are relentlessly driven by the need to create inspiring design, driving them to constantly scan the market for opportunities to create a dent in the design industry with fresh ideas supported by rigorous design solutions. For many years, Gary has nurtured the idea of an indigenous furniture brand built on sleek, technically engineered design and has filled reams of sketch paper with AMAZNG evocative design ideas. With over an experience of so long, the primary thing that we have come across is Learning And Innovation–in thoughts, strategies, approaches and processes. We never stop to learn to give our customers the best and constantly deliver breakthrough products and services. Adapting to change, to the choices of our clientele and to suit their tastes makes us Even Bettr Than The Best. The main customers that we deal with are individual clients, dealers, architects, interior designers and high end furniture contactors. We realize that every customer aims at owning a unique piece for oneself. A product that has never been made or owned by any other personage. 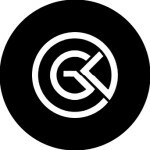 So, our designers try to come up with a unique idea every time, as we aim at ultimate satisfaction of our customers and justify ourselves when we say that we make luxury lifestyle for people with genuine individuality. Then that Wow factor perhaps, is involuntarily created. The prerogative of our company is production of models in a wide range of custom design, where we rely totally on our Research and development team who work with latest technologies, to form unique interiors by paying great attention to the minutest details of processing and finishing of every piece that we make. The high quality Artecraft creations, above and beyond material and validity of design lie with the combined efforts of the designers , architects and the in house manual skills of its craftsmen. 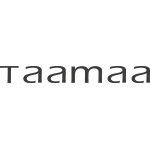 Taamaa by LOCO Design, is a cosmopolitan lifestyle brand creating products and objects that bring delight to everyday living. Our use of material, minimal detailing and chic designs make our products perfect for modern living. At KI, we believe knowing our customers helps us serve them better. We listen. We observe. We understand that each customer has unique needs. So, we pride ourselves on helping our customers make smart contract furniture decisions by offering expert advice, design options and personalized solutions. Since 1941, we’ve positioned KI as the contract furniture company that best understands the contract furniture industry and is committed to providing customers with the smart solutions. By targeting specific markets with solutions for business furniture, university furniture, educational furniture, healthcare furniture and government furniture, we can quickly respond to our customers’ unique needs – including the choice to procure contract furniture according to what fits their ordering and fulfillment process. That’s why we say we offer far more than furniture. We’re Furnishing Knowledge. Contract furniture solutions for any environment KI’s product portfolio includes the following: architectural walls, desking systems, classroom desks, teacher desks, tables, classroom tables, conference tables, cafeteria tables, training tables, occasional tables, seating, task chairs, bariatric chairs, patient chairs, medical recliners, medical gliders, sleepers, side seating, guest chairs, stack chairs, nesting chairs, stools, classroom chairs, tablet arm chairs, lounge seating, lobby benches, multiple seating, school library furniture, task lighting, casegoods, auditorium seating, fixed seating, lecture hall seating, seminar tables, lecterns, dormitory furniture, filing cabinets, lateral files, panel systems and more. Our contract furniture innovations reflect a desire to be our customers’ market resource and to help them make smart contract furniture decisions. Our strong market understanding is why KI customers throughout the world continue to rely on our trusted expertise to create solutions that fit their environments, brilliantly. KI, a contract furniture company, manufactures innovative furniture and movable wall system solutions for educational, university, business and government markets. With corporate headquarters in Green Bay, Wisconsin, KI is fully established throughout the United States and neighboring countries Canada and Latin America, as well as across Europe, the Middle East and Australia. KI’s presence in these countries is supported by dedicated showrooms featuring furniture solutions uniquely designed for customer needs and local standards. 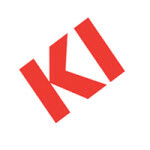 KI global subsidiaries currently include KI Europe, KI Canada, KI India, KI China and KI Australia (Sebel). With more than 3,000 employees worldwide, KI continues to build relationships globally, extending its trusted expertise throughout the global marketplace. KI’s entries into foreign markets are varied. Entries include exporting, licensing, joint ventures, and foreign direct investments where appropriate. Services are provided through fulfillment partners in established and emerging markets. KI has been in Europe since 1990. Licensed manufacturing facilities extend from the UK through Benelux to Italy. In addition, the UK acts as the E.M.E.A. (Europe, Middle East, Asia) headquarters with a central distribution hub. In September 2015, KI Europe revealed a stunning new headquarters in New Fetter Place, London. KI has also been in Asia since 1988, with representation through China, Japan, Taiwan, Korea, Hong Kong and Southeast Asia. In late 2015, KI opened a sleek new showroom in Beijing, further expanding its presence in China. KI continues to differentiate itself and establish enduring relationships throughout the world by personalizing products and service solutions to the specific needs of each customer through its unique design and “Market of One” manufacturing philosophy.